Indications:Healing of Erosive or Ulcerative Gastroesophageal Reflux Disease (GERD).Maintenance of Healing of Erosive or Ulcerative Gastroesophageal Reflux Disease (GERD)Healing of Duodenal UlcersTreatment of Pathological Hypersecretory Conditions, Including Zollinger-Ellison Syndrome.Irritable bowel syndromeChronic Gastritis. Mechanism of Action:Rabeprazole belongs to a class of anti secretory compounds (substituted benzimidazole proton-pump inhibitors) that do not exhibit anticholinergic or histamine H2-receptor antagonist properties, but suppress gastric acid secretion by inhibiting the gastric H+/K+ATPase (hydrogen-potassium adenosine triphosphatase) at the secretory surface of the gastric parietal cell. Because this enzyme is regarded as the acid (proton) pump within the parietal cell, rabeprazole has been characterized as a gastric proton-pump inhibitor. Rabeprazole blocks the final step of gastric acid secretion. In gastric parietal cells, rabeprazole is protonated, accumulates, and is transformed to an active sulfenamide. When studied in vitro, rabeprazole is chemically activated at pH 1.2 with a half-life of 78 seconds.Levosulpiride is more selective and acts primarily as a dopamine D2 antagonist. The prokinetic effect of Levosulpiride is mediated through the blockade of enteric (neuronal and muscular) inhibitory dopamine D2 receptors. Results also show that levosulpiride also acts as a moderate agonist at the 5-HT receptor. The serotonergic (5-HT4) component of Levosulpiride may enhance its therapeutic efficacy in gastrointestinal disorders. This property, together with antagonism at D2 receptors, may contribute to its gastrointestinal prokinetic effect. Pharmacology:Pharmacodynamics:Rabeprazole prevents the production of acid in the stomach. It reduces symptoms and prevents injury to the esophagus or stomach in patients with gastroesophageal reflux disease (GERD) or ulcers. 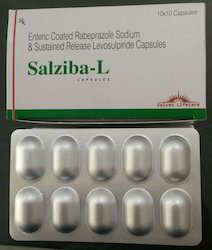 Rabeprazole is also useful in conditions that produce too much stomach acid such as Zollinger-Ellison syndrome.Levosulpiride acts as prokinetic agent. Rabeprazole:Absorption: Absolute bioavailability is approximately 52%.Route of Elimination:Following a single 20 mg oral dose of 14C-labeled rabeprazole, Approximately 90% of the drug was eliminated in the urine, primarily as thioether carboxylic acid; itslucuronide, and mercapturic acid metabolites. Levosulpiride:Absorption: Oral bioavailability is about 30%; peak plasma concentrations after about 3hr.Route of Elimination:Mainly via urine. Plasma half-life: 9.7 hr (oral); 4.3 hr (IV). Side Effects:Headache, dizziness, diarrhoea, constipation, stomach pain, muscle weakness. DISCLAIMER=Information provided at this web site is of a general nature and is not intended to take the place of a physician's advice. It is vital that persons diagnosed with, or suspected of having, any disease consult with their physician to assure proper evaluation, treatment and interpretation of information contained on this site. 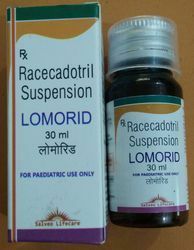 Racecadotril is an anti diarrheal drug which acts as a peripherally acting enkephalinase inhibitor and help to reduces the secretion of water and electrolytes into the intestine. Infections of the gastro intestinal tract, especially infectious diarrhea, are among the most common debilitating infectious diseases, afflicting people of all ages around the world. Diarrhea can be defined as the passage of loose or watery stools, usually at least three times in a 24 hr period it may be accompanied by anorexia, nausea vomiting, abdominal cramps. It is not a disease but sign of some infections or gastro intestinal disorders. ??? 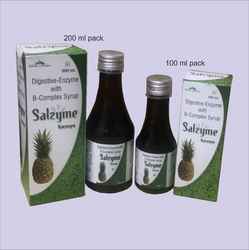 It is used for the treatment of the acute and chronic diarrhea. ??? Acute diarrhea usually lasts for a few days and is typically caused by an infection of some sort caused by bacteria, viruses or parasites. ??? Chronic diarrhea persists longer than does acute diarrhea, generally longer than four weeks. Chronic diarrhea can indicate a serious disorder, such as ulcerative colitis or Crohn's disease. Racecadotril increases the availability of endogenous (enkephalins) by inhibiting the membrane-bound enkephalinase. These enkephalins activate δ- receptors in the GI tract. This leads to a reduction in cAMP mucosal levels, resulting in a reducted secretion of water and electrolytes in the intestinal lumen. E. coli : E. coli are harmless and live in the intestines of healthy humans and animals. E. coli produces a powerful toxin that can cause a severe infection. Salmonella :Salmonella is a bacteria that infects the intestines and causes diarrhea, fever, and abdominal cramps 12 to 72 hours after infection. Rotavirus:Rotavirus is the most common cause of severe diarrhea among children. The disease is characterized by vomiting and watery diarrhea for three to eight days, and fever and abdominal pain occur frequently. Giardia : Giardia lamblia has become recognized as one of the most common waterborne diseases in humans in the United States. Giardia is a tiny parasite that lives in the intestines of people and animals. Absorption: Racecadotril is quickly absorbed orally. The inhibiting activity of the plasmatic encephalinase appears in 30 minute. The amplitude and the duration of action of the racecadotril are related to the administered dose. The peak concentration is of 2.5 hrs approximately and corresponds to an inhibition of 90% of the enzymatic activity for the administered dose of 1.5 mg/kg. The duration of inhibiting activity on the plasma encephalinase is of approximately 3 hours. The half life is 3-4 hours. Distribution: The tissue distribution is weak; it accounts for only approximately 1% of the administered dose. The racecadotril is fixed at 90% on plasma proteins (mainly albumin). The bioavailability of Racecadotril is not modified by food, but the peak of activity is delayed for 1.5 hours approximately. Duration of 4 hours action close. It does not cross the hemato-encephalic barrier. Metabolism: Racecadotril is a prodrug, which is rapidly absorbed after by oral income and hydrolyzed to thiorphan as active metabolites. It is contra-indicated in the event of intolerance with fructose, malabsorption of glucose and galactose or of invert sugar-isomaltase deficit. It is contra-indicated in patients with known Hypersensitivity. 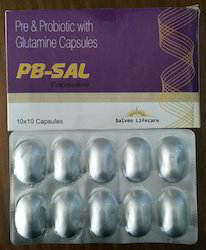 Salveo Lifecare offers Omesal-D capsules which contain a combination of Omeprazole 20mg. 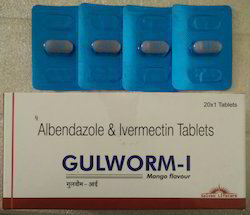 & Domperidone 10mg ingredients. This combination of medicine is mainly effective in treating the ulcer, indigestion, and stomach acid production. In this combination, Omeprazole ingredient helps to cure severe heartburn, GERD (Gastroesophageal Reflux Disease) and other stomach related disorders caused due to excessive acid production in the stomach. It is also useful in the healing of a damaged food pipe due to too much stomach acid (erosive esophagitis). Domperidone is a kind of peristaltic stimulant which helps in preventing nausea & vomiting caused by certain medications, indigestion, or some diseases. It is a digestive system movement booster and also beneficial in certain stomach related disorders such as heavy bloating, stomach fullness, belching, gas, and heartburn. 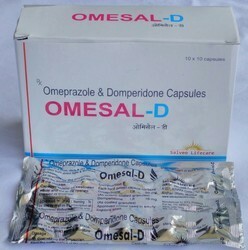 We at Salveo Lifecare recommend you to avoid the excess dosage of Omesal-D capsules and store these capsules as directed by your medical doctor or physician. We're identified as one of the reputed corporations of this industry, engaged in distributing and supplying a vast variety of Silymarin and L-Ornithine L-Aspartate Softgel Capsule from Mohali, Punjab, India. 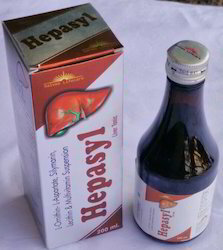 Hepasyl Cap is a combination of Silymarin and L-Ornithine L- Aspartate with the added benefits of Alpha Lipoic acid and Selenpmethionine to improve liver health and function. Hepasyl Cap can be used as an adjunct to drugs which are hepatotoxic. 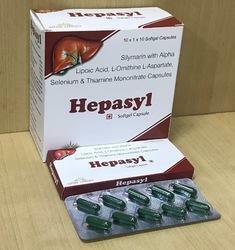 Hepasyl Cap treats fatty liver, liver damage and cirrhosis of the liver and effectively helps alleviation of symptoms in these patients when combined with primary therapy.Presented in a strip of 10, one to two Hepasyl Cap capsules can be taken daily just before breakfast. Customers can acquire it from us at very reasonable price. Ursodeoxycholic Acid is a naturally occurring bile acid. It is used for the treatment of some liver conditions. This may include diseases such as biliary Artesia (blockage of the bile duct) and cholestasis of cystic fibrosis (occurs when bile flow is restricted). It is also used in the treatment of gallstones. It is a biliary composition and flow-altering drug occurring naturally in mammals, and is sometimes known as a bile acid. It is used to reduce the cholesterol content of biliary fluid (produced by the liver and stored in the gall bladder for secretion into the intestine to digest fats). In general this drug is used to dissolve gallstones made of cholesterol and to treat a condition called primary biliary cirrhosis (in which the bile ducts are damaged, causing bile to accumulate in the liver, which is then damaged itself). Benefits of being on this drug in patients with primary biliary cirrhosis include the prevention or treatment of lack of bile flow from the liver to the intestine (cholestasis), and the dissolving of gallstones in patients who have this problem. Dissolving gallstones that are radiolucent (they do not show up on X-rays) that are in patients with a functioning gallbladder. 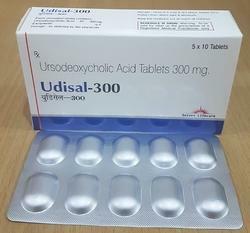 Ursodeoxycholic acid (UDCA) is used in the treatment of cholestatic liver diseases, gallstone dissolution, and for patients with hepatitis C virus infection to ameliorate elevated alanine aminotransferase levels. The efficacy of UDCA treatment has been debated and the mechanisms of action in humans have still not defined. Suggested mechanisms include the improvement of bile acid transport and/or detoxification, cytoprotection, and anti-apoptotic effects. Ursodeoxycholic acid 1 is the 7[beta]-hydroxy epimer of chenodeoxycholic acid and is normally present in only trace amounts in the bile. Oral administration of pharmacological doses markedly decreases biliary cholesterol saturation. Complete or partial dissolution of radiolucent gallstones located in a functioning gallbladder occurred in about 40 to 55% of patients treated with ursodeoxycholic acid in controlled studies of 6 months duration. Ursodeoxycholic acid suppresses hepatic synthesis and secretion of cholesterol and also inhibits intestinal absorption of cholesterol. Absorption: Rapidly and completely absorbed from the GI tract. Feeling sick (nausea), Vomiting, Diarrhea, Gallstone calcification (calcium deposits form in the gallstone),Itching. Ursodeoxycholic acid should be used with caution in: women who are likely to become pregnant or who are breastfeeding. It should not be used in: women who are pregnant, patients with a gall bladder that is not working properly, or who have gallstones which contain calcium (i.e. are opaque on an X-ray), have severe liver problems, stomach ulcers or inflammation of the bowel. Store at room temperature, 15-30° C (59-86°F). Keep away from moisture. Backed by our several years of experience in this domain, we have emerged as a reputed firm offering a wide range of Antiflatulent Antacid Suspension. Our team of skilled and qualified professionals have the expertise to pack these products in varied quantities as per the requirements and needs of our clients. These products are also tested as per the international standards of quality by a special team of testers. Composition: Magaldrate anhydrous 400 mg, simethicone 20 mg.
Charomyces boulardii- is a yeast strain which helps to keep the digestive tract clear and is beneficial to sufferers of diarrhoea and Crohn's disease. It is a friendly beneficial yeast that fights fungal/yeast infections such as Candida: it is much used in France, where they refer to it as the yeast- fighting yeast. L-Glutamine - As said above supports immune function, repairs and heals the gut wall and is a source of fuel for white blood cells. Enhancing the body's absorption of food and nutrients. Protecting the gut wall against harmful bacteria that can cause 'leaky gut'. A leaky gut allows pathogens to break through the gut wall causing havoc in the body. Supports the destroying of toxins and carcinogens. With from commitment towards quality, we are engaged in supply and trade of Lecithin And Silymarin Suspensions. Moreover, the products offered by us are checked on predetermined parameters so as to ensure their adherence with set industry standards and norms. Our team of skilled and trained professionals are also capable to provide these products in a customized quantities as per the requirements and needs of our clients. Composition: Each 5 ml contains: Silymarine 35 mg, Lecithin 125 mg. Efficient liver function is extremely important to the overall health of a person and this depends on constant supplies of antioxidant nutrients. If the liver isn't working efficiently and antioxidant defenses are low, the effects can be seen in any cell, tissue or organ in the body. A vast constellation of symptoms can result from impaired liver function that at first glance may seem to have nothing at all to do with the liver. Detoxification of potentially toxic chemicals from both inside and outside of the body including drugs, alcohol and toxins from intestinal microbes. Accomplished with antioxidant nutrients and enzymes such as glutathione. Storage of sugar as 'glycogen' and regulation of blood sugar levels. Production and storage of proteins as well as the regulation of many substances involved in protein metabolism. Production of bile which aids in the digestion of fats. Regulation of a number of hormones. Neutralization of 'free-radicals' by antioxidants. Free radicals are highly reactive oxygen molecules that can damage tissues. As you can see the liver is involved in a wide array of metabolic activities and it requires a large amount of energy and nutrients to accomplish these effectively. The milk thistle plant contains silymarine and related flavonoids which are some of the most potent liver-protecting substances known. These flavonoids are powerful antioxidants so protect the liver from damaging toxins and free radicals. They also stimulate healing and the production of new liver cells and cause the liver to increase production of glutathione, the bodies most important antioxidant and detoxifying substance. Silymarin has been proven to both protect liver cells and repair existing damage in animals intoxicated with mushroom toxins, medicines, heavy metals or toxic organic solvents. Human studies have also shown decreased mortality in patients with alcoholic liver damage who are treated with silymarin. Lecithin is sold over-the-counter in the USA as a health food supplement. Lecithin consists of fatty acids and the nutrient choline. Cirrhosis, a Liver disorder is a life-threatening condition, which the liver becomes filled with fibrous tissue, and as the result functions poorly. The researchers showed that lecithin may act by increasing the liver's breakdown of the fibrous tissue that causes cirrhosis. Lecithin aids in the absorption of thiamin by the liver and is needed to help repair the damage to the liver caused by alcoholism. Other studies also have confirmed the protective effect of lecithin in proper functioning of the liver. 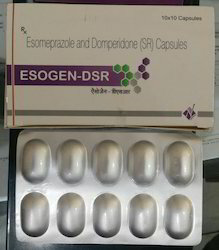 Esmoprazole is a proton pump inhibitor administered orally as the magnesium salt in treatment of gastroesophageal reflux disease and in the treatment of duodenal ulcer associated with Helicobacter pylori infection.Domperidone belongs to propulsives. It is used to treat ulcers and acid stomach. Indications and Usage: Acid peptic disease – both active disease treatment and for maintenance therapy. Gastroesophageal reflux disease and erosive esophagitis. Hypersecretory states like Z.E. syndrome etc. Mechanism of Actions: Domperidone is a peripheral dopamine D2-receptor antagonist, which regulates the motility of gastric and small intestinal smooth muscle. 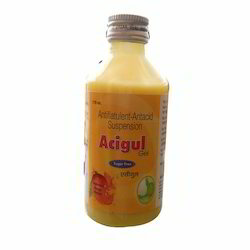 It increases the duration of antral and duodenal contractions and also LES resting pressure, thus stimulating gastric emptying and is also effective in relief of symptoms of reflux esophagitis. Antiemetic activity is due to the blockade of dopamine receptors in the chemoreceptor trigger zone. Esmoprazole inhibits the secretion of gastric acid by irreversibly blocking the enzyme system of H+/K+ ATPase of the gastric parietal cell. It is activated at an acidic pH to a sulphenamide derivative that binds irreversibly to H+/K+ ATPase, an enzyme system found at the secretory surface of parietal cells. It thereby inhibits the final transport of hydrogen ions (via exchange with K ions) into the gastric lumen. Pharmacology:Domperidone blocks the action of dopamine. It has strong affinities for the D2 and D3 dopamine receptors, which are found in the chemoreceptor trigger zone, located just outside the blood brain barrier, which, among others, regulates nausea and vomiting (area postrema on the floor of the fourth ventricle and rhomboid fossa). Esmoprazole is a Proton pump inhibitors which block acid at the final common pathway of secretion-that is, at the proton pump-regardless of the stimulus of acid secretion, and thereby offer by far the most potent suppression of gastric acid. Side Effects:Headache, Nausea, Vomiting, Dizziness, Vertigo, Reversible confusion, Agitation, Depression and hallucinations. 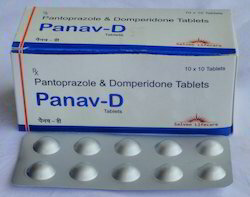 We are the proud supplier and trader of a wide variety of Pantoprazole And Domperidone Sustained Release Capsules. Following the global standards of quality, these products are checked thoroughly before being dispatched to the clients. We also customize the packaging quantities of these products as per the requirement and guidelines of our esteemed clients. 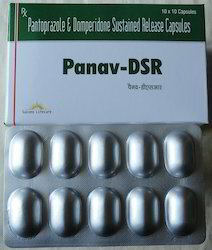 Pantoprazole is used to heal and prevent gastrointestinal (stomach and bowel) problems related to excess acid. It is a proton pump inhibitor (PPI), sometimes known as an ulcer healing drug. 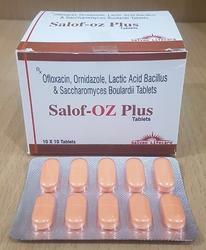 Pantoprazole is used to reduce gastric acid secretion from the stomach and treat a number of acid-related gastrointestinal conditions. It is used to heal intestinal and stomach ulcers and to treat and manage gastro-oesophageal reflux disease (GORD, a condition in which acid rises up from the stomach into the oesophagus [gullet] with symptoms of heartburn, acid regurgitation and pain on swallowing). Domperidone is used to help to move food faster through your food pipe (oesophagus), stomach and gut. This is so that it does not stay in the same place for too long. It also helps stop food flowing the wrong way back up your food pipe. It is a dopamine agonist, and belongs to a group of medicines known as anti-emetics. It is used to help your digestive system move food contents through it normally and in the right direction. 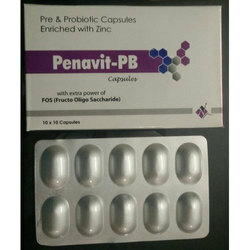 The state of the art technology and advanced skills of our qualified professionals have enabled us to provide our esteemed clients with a wide range of Rabeprazole & Domperidone Capsules. Tested as per the international standards of quality, we have ensured that these products do not falter at the time of functioning. We can also customize packaging quantities of these products to meet the specifications of the clients. 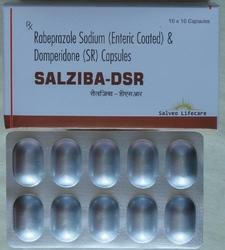 Rabeprazole is used to treat and maintain healing of gastroesophageal reflux disease (GERD). It is also used to treat symptoms, such as heartburn and regurgitation, of non-erosive reflux disease (NERD). 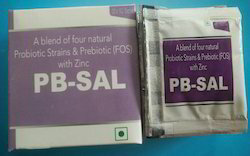 Looking for Gastro Products -Anti ulcerants, Pre-Pro Biotics, Liver Tonics ?